We all know airline food isn’t much to write home about. So when a sitting president makes international headlines over it, you know something’s up. Whatever it is, it’s not our national carrier’s image or reputation. If it was low before and struggling to land without leaving pancake all over the country’s one serviceable set of runways, it’s at ground zero now. All for the sake of a small packet of nuts, ostensibly – and an evident lack of presidential self-control. So what’s going on? A chief executive in transit expresses displeasure over an airline snack in no uncertain terms. These nuts are not fit for human consumption, let alone the diet of dogs, he is reported – widely – to have said… and he didn’t mean his cabinet, but rather a packet of what passes for crisps aboard our national carrier. International media pick it up like humanity’s most pressing problem is a pistachio pouting president of a former banana republic going to the dogs again. It’s worrying what this all really means. Because this is not the first time that our prez’s shenanigans have threatened – or promised – to draw media attention away from issues that really matter. What’s the topic or theme that could be bigger than a bra-throwing incident that bars the Fourth Estate from covering serious socio-political subjects bedevilling Sri Lanka at the time… or economic issue-related policies that need course correction, rather than whipping recalcitrant floggers of Sri Lanka’s precious culture that wants safeguarding at the hands of a cat-o-nine-tails flailing president? And what’s really going on with our head of state these days? Is the pressure proving to be too much when there’s so much at stake for a common candidate turning over a very common presidential mandate indeed? Go the distance with your strategic elector and lose him at the eleventh hour? Say the word snap poll now and take the plunge to feast with panthers with your former president as your future prime minster? Now don’t get me wrong, folks. I feel that any fare-paying passenger has a right to vent about the offal some airlines dish out and expect flyers to take it lying down like a man. And if an elected leader of a nation travelling in economy – like the premier of Pakistan, for one – pressed a point about how putrid his packet of crisps is, it’s no skin off the national economy’s back. But I draw the line at presidential and ministerial privilege continuing to expect the country to foot their bills and grin and bear it while they jet-set from entitlement at home to international media imbroglios while a mile high. The joyride our politicos take at our expense money and media image-wise must end. The sooner the better – as the skipper said to the stewardess. More to the point, perhaps, is what’s really going on with the state of our presidency these days… that’s a far more interesting question, especially after the managed spectacle of the Jana Bala juggernaut in Colombo last week. On the one hand, it is clear that political ‘crown princes’ don’t need smarter strategies than their savvy papa’s charisma to draw a crowd demonstrably expressing its displeasure at the way things are with national leadership. On the other, it is by no means clear whether anyone is prepared to go back to the way things were in order to go back to the future of some political utopia than can only be seen – or not – by the likes of the jackanapes who raided the city and climbed up lampposts like circus monkeys to see who would be president tomorrow. The daring pair are an apt symbol for the drudges at the helm of national enlightenment these days: the higher they climb, the less dignified they look. Not. In the limit, it is clear that there are three types of president. nThose who lose their cool over a corrupted cashew nut packet, when it is the national carrier’s corrupt senior management that should be cashiered –among other bad eggs in cabinet and parliamentary select committee. nThose from Madras, I mean Mattala, whose testicular fortitude is as bold as brass, who can make no mistake with the media – for him, no publicity is bad publicity today, out in the doldrums as he is. nThere are also, last but by no means least, the Machiavellis of machinations sitting quietly on the sidelines of the sundry scams they’ve engendered, as it were, not getting their pistachios in a twist; but waiting for these local yokels to emplane on their junkets again – so that he can go it alone from 2020, 20A in hand like a first class ticket to the wide blue yonder. No need to worry about the skeletons in his closet stinking up the corridors of power when his political partner goes, well, nuts enough to draw fire. I suspect it is futile to invite incumbent heads of state to conduct themselves with a little more decorum and not lose their beans when presented with a tasty morsel that’s a bit off when there’s a tad more pressing concern or two to engage their attention. But it might be worthwhile to ponder why international media disport themselves like Charley’s Aunt from Brazil – “where all the nuts come from” – when a stalwart of a former banana republic turned coconut estate for China to plant its Martial Silk Road submarines underground goes nuclear. 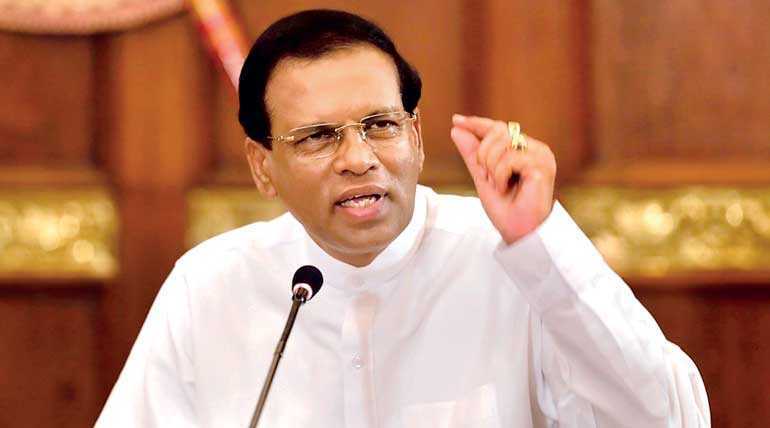 Since Mahinda can do no wrong in socialist Sri Lanka, and neither he nor Maithripala can do no right elsewhere overseas in democratic-republicana, it behoves us to see that the writing is on the wall. Media make moghuls, mandarins and maharajahs. It also makes monkeys out of local yokels who can’t see that neoliberal neoconservative politics is king of the hill and as much a global empire as the near-anonymous ultra-rich big business club that runs the world’s military-industrial complex. We’re not talking peanuts here. We’d do well to remember that the next time we’re on the verge of making a nut case for national incontinence, I mean incompetence, look like something the baboons bring out at the zoo. SriLankan’s problems apart, Sri Lanka per se is in a pretty pickle. Perhaps the problem is not an international media conspiracy or global military-industrial movements to curb China’s burgeoning influence in the region by potting peanutty presidents likely to support them like goldfish in a barrel. Maybe the issue is – as ever – that we’ve got it entirely back to front (as the purser debriefed the cabin crew about the order of service). The problem is this. When SriLankan began to struggle, the national carrier employed Sanga and Mahela, former star cricketers and each an erstwhile country skipper, to be the airline’s brand ambassadors. But given the fiascos that the national leadership is subjecting the state to, it would have been better to employ those brand ambassadors as Sri Lanka’s leaders and let incumbent skippers touchdown as salesmen for bras, bars or the bits that business class passengers throw up in the bulkhead bilge. Nuts to you, too, chum.